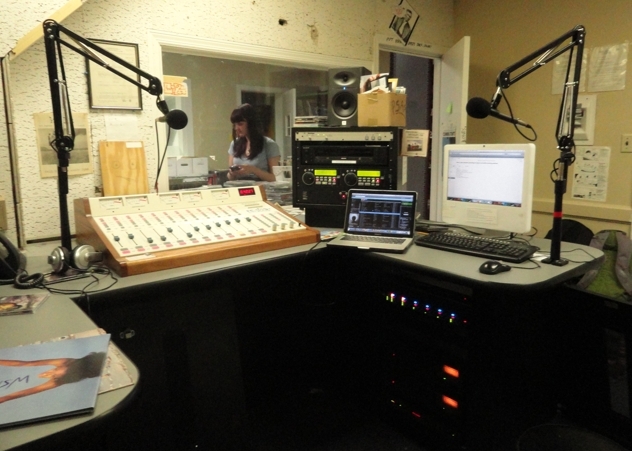 The inside of Studio A, WSRN office, on the fourth floor of Parrish, along with broadcast equipment. For those who are crazy about hip hop or classical music, curious about environmental issues or interested in campus life, WSRN, Swarthmore’s radio station, offers up a wide array of music and talk for students to tune into. WSRN, founded in the 1940s, is a completely student-run FM station that aims to provide its listeners with greater access to unique and up-and-coming music and discussions that cover a wide range of topics. The shows at the station are very different from each other. The Noise, a music and talk show previously known as Chester Noise, is a program that has been going on for at least three years, according to Traut. Playing mostly hip hop tracks, the Noise broadcasts from 2 to 6 p.m on Saturdays. It provides a platform for Swarthmore students and Chester High School students to communicate through and enrich their knowledge about music. For Chester students, Traut added that joining WSRN offers “a positive extracurricular activity” where they learn skills like using studio equipment as well as being exposed to different kinds of music, some of which may not be normally heard. Sometimes playing electronic music and R&B, the Noise speaks to the breadth of music as a whole, beyond the constraints of genre. “It is really amazing to let other people hear the song that only 10 other people might have heard and to share it,” Traut said. Playing music from Communist countries past and present, primarily Russian music and occasionally Chinese music, Eugenia Sokolskaya ’13, a member of the station, broadcasted a show named “Beyond Iron Curtains” last year. She wanted to use her show to emphasize her Russian heritage in its many aspects and to share the diversity of Russian music. She also learned greatly when she was trying to categorize the musical history of Russia and the Soviet Union and when she was communicating with the listeners. Once, she received a call from a resident of the Ville who always listens to the shows of WSRN while she was on air, and the listener told her about several Russian films like “The Cranes are Flying” – “an incredibly famous and innovative Soviet movie which we then discussed in my Soviet Film class last semester,” she said. While WSRN has a number of music shows, it is not a music-only station. “Think Climate,” a talk show on current issues in climate change, is hosted by Ahn and Hayden Dahmm ’15. Ahn, who has been involved with environmental advocacy on the global warming front and is especially interested in seeing how the mainstream media deals with the subject matter, regards the radio station as a means to “get out there and experiment” with discussions on climate-change. The radio station is constantly updating equipment in order to create a better environment for people to enjoy the resources WSRN has. The radio station experienced a serious technical and aesthetic overhaul recently. Spagnolo added that in the past the station “was running on equipment that was decades old. We decided to use our capital replacement fund to acquire more modern and reliable equipment.” WSRN members also benefit from a great number of resources it has. Axel Kodat ‘15 mentioned that one of the wonderful things about WSRN is its massive record collection, which has been accumulating for decades, and where much weird, mostly unknown, fascinating music can be found. He said, “now my show is just me playing all sorts of strange stuff, a lot of which I’ve never heard before.” Not just sharing music he likes, he mentioned, “with WSRN an equal part of the fun is simultaneously discovering and broadcasting music.” However, the high-quality equipment and abundant resources are totally underutilized according to Traut. 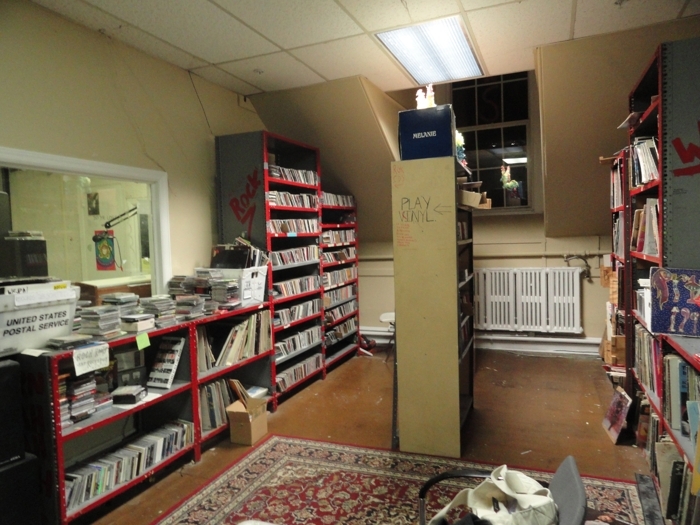 Though these recent upgrades in addition to the existing numerous boxes of music, WSRN has a huge amount of space to develop. She believes that at the moment the radio station is at a crucial point of its existence — people can either continue to under-utilize the space and resources and just being very passively involved or get more involved with the station actively. Traut further added that she feels listening to the radio is an extremely self-motivated choice. “I think radio culture has died a lot with the advent of MP3s,” she mentioned. Radio is such an active experience that is easily to be abandoned by people. Students need to actively take out their computers and go to certain websites to sit down and listen. “When listening to WSRN, you are giving up some control of what you are listening to, and you actively choose to give up that control, just listen to what’s on the radio.” For people who want to have a try on radio broadcasting experience or who are willing to actively join WSRN, they have a chance this Friday, March 16, from 8 to 11 p.m at the radio station office on Parrish 4th floor. WSRN will be holding an open house and Traut is eager to meet people with ideas and plans to make those ideas happen. The ideas can be for new and interesting shows, for organizing and expanding the music library in the office or for having bands to do live shows at the station.